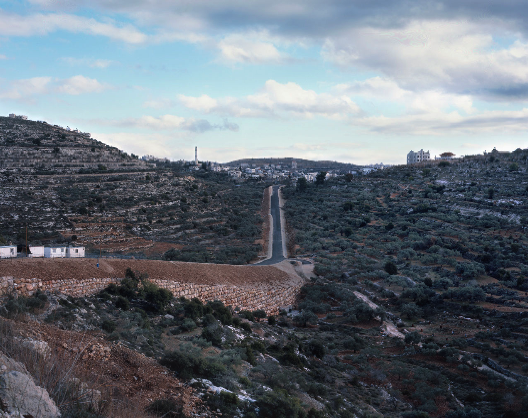 "What happens to a landscape which is intentionally ignored by a large part of the population? Does it still exist?" 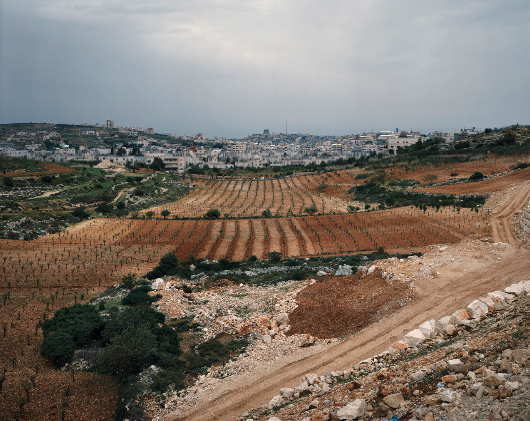 A few weeks ago I got in touch with Yaakov Israel and I was immediately fascinated by his investigation of the Israeli landscape and its human geography. 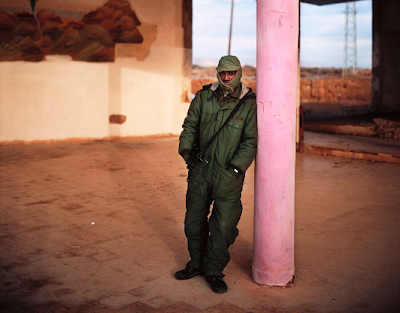 I asked him if he wanted to have a conversation about his photography, his country and all that happens when the two come together, and I am happy he agreed to share his thoughts. FABIO SEVERO: Israel is a territory many photographers would put all their efforts to show it loud and clear in their images, and yet you say you are interested in showing all those small details that usually go unnoticed. What brought you to work in this way? 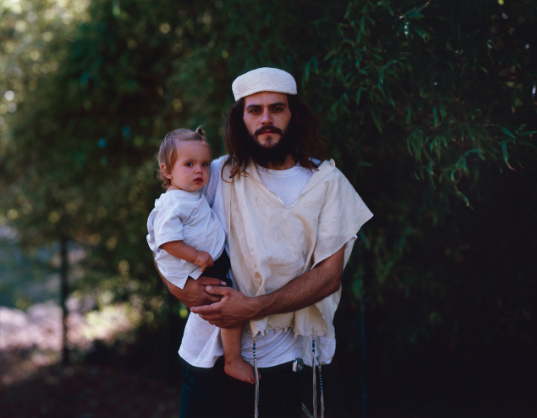 YAAKOV ISRAEL: My current interest in photography revolves around the idea of using this medium to research and understand the culture and country I live in and which I am constantly trying to analyze and better understand. I am a firm believer in personal biography and the affect it has on ones interests, work and subject matter. I am 100% Israeli, born and raised in Israel, while on the other hand I am the son of immigrants. My father never really assimilated into the Israeli society and was always observing and pointing out social injustices and Israeli idiosyncrasies. 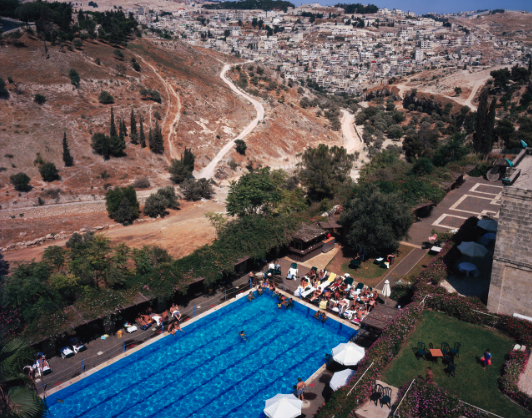 This influenced my way of looking at my surroundings and this is what enables me to simultaneously be part of the Israeli reality and still question it. As a result of my visual research I have discovered that we have a lot to learn from what we inflict on our surroundings and the way we chose to construct the reality around us. The focusing on details unravels part of a story that could never be told as a whole. FS: One of your project is called The legitimacy of landscape, but maybe this expression can be extensively used for the totality of your work: to use photography to unveil the fake seamlessness of a landscape, to interrogate its nature and its history, its legitimacy. What does this term really mean to you? YI: I have always been interested in the land and the way people connect to their land. Thoughts about the traditions and of the meaning of landscape in art and photography, worldwide and locally, occupy me constantly in my work. For me the question explored in this work was; what happens to a landscape which is intentionally ignored by a large part of the population? Does it still exist? This lead to a series of queries about physical vs. perceived vs. imaginary existences and it is this legitimacy that I ended up exploring in my work. 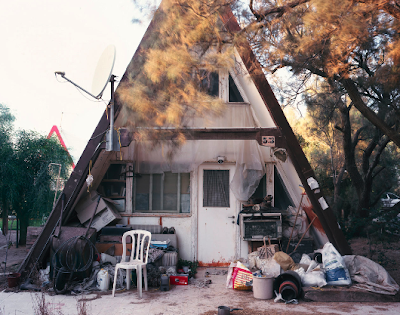 In a way each photo created an existence of a place and gave it a fleeting legitimacy even if imaginary. FS: The Quest for the Man on the White Donkey is described as a wide exploration of your land, in search of a man, of a feeling, of an idea, maybe. A wide search in a small land, you wrote, where any wandering would have brought you back to the starting point, to begin again and look for new images. Is it a survey of a territory or rather the expression of a private geography you found inside yourself? YI: I started out purely on a mission to survey a territory – Israel. However on the day I crossed paths with the man on the white donkey this journey turned into a personal quest. From then on my external travels reverted inwards and I started to explore myself in relation to my surroundings. I feel that this was a crucial turning point which made me understand that my work does not only document and show reality, but in a way creates a reality. FS: Among all the photography produced about Israel, what is it that you don't like, and also which are the photographic works that you loved most? Is there any aspect of your country that you feel is not enough explored (or maybe even ignored) by photography? YI: Personally I find that the main Israeli photographic narrative that makes it out of Israel is the journalistic, political photography. This is obviously important but it portrays only one aspect of Israel and thus helps create a very stereotypical image. 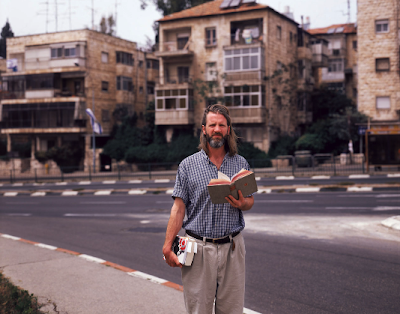 There are many other realities being documented in Israeli photography that are not ignored but simply not exposed. Naturally I find interesting the work of fellow contemporaries who are using photography to question, and not to make statements. FS: How was your work received domestically as opposed to abroad? YI: Domestically I have been received well. My work instigated the interest and debates I hoped for. When I have the opportunity to present my work abroad I find that the pre-conceptions regarding Israel must first be broken down and in a way my work is what helps do this. I find that the interest in Israel is always strong and that my work provides them with new insight. FS: You use a 8x10 camera for your projects. Why did you choose this kind of camera? YI: When I started out in photography I was fascinated with the ability of the medium to render and capture an accurate piece of reality and it was this power that I wanted to use. As I progressed and started to find 'my way' in photography I understood that I wanted to use photography to create a discussion about reality, and the way in which I wanted to show things was just as important as what I had to say and point out. This is why I chose to use the most descriptive tools available and why I mainly use an 8x10, as it promises me the hyper realistic results which I need in order to show details more sharply than would be possible to observe with the naked eye. "Home is where nobody is"